In 12-inch nonstick skillet, melt 2 tablespoons of the butter over medium-high heat. Add apples and 1 cup of the brown sugar, the flour and cinnamon. Cook 4 to 5 minutes, stirring occasionally, until slightly thickened. Spoon evenly into baking dish. Separate dough into 8 biscuits. Cut each biscuit into 4 pieces. Melt remaining 4 tablespoons butter. 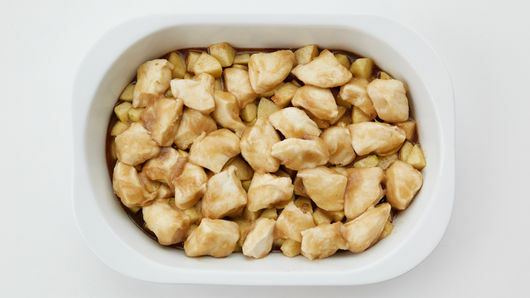 In large bowl, mix biscuit pieces, melted butter, remaining 1/2 cup brown sugar and the corn syrup until well coated. 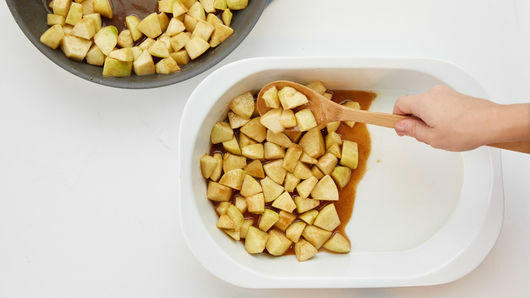 Spoon evenly over apple mixture in baking dish. Bake 25 minutes. Sprinkle with granola. Bake 8 to 10 minutes longer or until golden brown and no longer doughy in center. Serve warm. 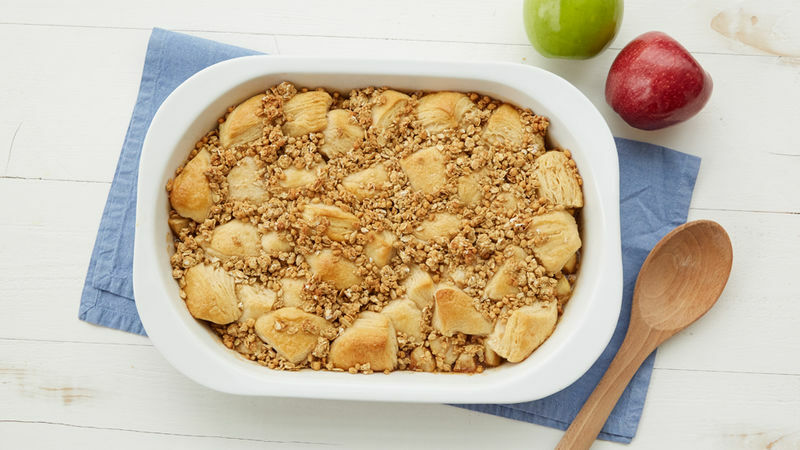 If using a sweeter baking apple, decrease brown sugar to 1/2 cup in the apple mixture. 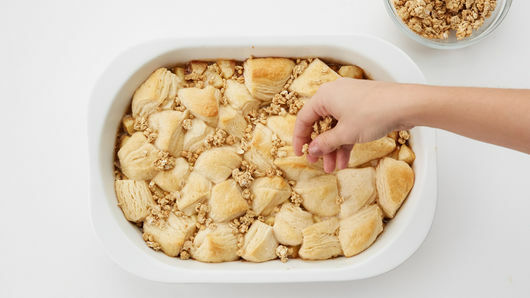 Drizzle warm breakfast bake with half-and-half. Four pouches Nature Valley™ crunchy oats ‘n honey granola bars, crushed, can be substituted for the Nature Valley™ oats 'n honey protein crunchy granola.